Meet Rebecca Behrens, middle grade author of The Last Grand Adventure, on June 11th from 6:30pm-8:30pm. It’s the Summer of ’67—and twelve-year-old Bea’s world has been shaken up. Her mother is off in San Francisco, while her father has remarried in Los Angeles, adding a stepmom and younger stepsister to the mix. Bea, unsure of the all the change happening around her, feels stuck. So when her grandmother, Pidge, moves to a retirement community, Bea agrees to visit and help her adjust. But it turns out her grandmother isn’t interested in “settling in”—what Pidge really wants is to hop a train to Atchison, Kansas, where she believes she’ll be reunited with her long-missing older sister: the legendary Amelia Earhart. And she wants Bea to be her sidekick on this secret trip. At first, Bea thinks her grandmother’s plan sounds a little crazy. But Pidge does have thirty years of mysterious letters, written in “Meelie’s” unmistakable voice, all promising to reunite. This journey might be just the adventure Bea needs . 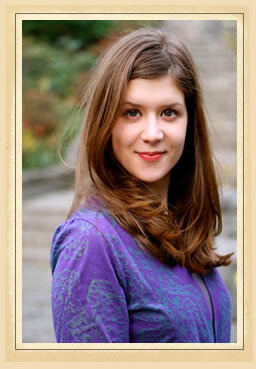 . .
Rebecca Behrens lives and writes in New York City, where she also works as a copy editor. She is the author of When Audrey Met Alice, which BookPage called “a terrific work of blended realistic and historical fiction;” Summer of Lost and Found, which School Library Journal praised for its “deft writing;” and The Last Grand Adventure, which Kirkus recommends as “a quirky, heart-rending journey.” Some of Rebecca’s favorite things are: the beach, history, running, doughnuts, and laughing.